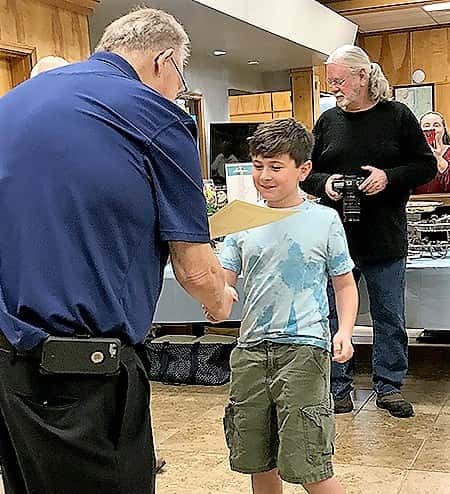 Paris, Tenn.–Winners of the Photographs & Creativeness Youth Pictures Present have been introduced at a reception Sunday on the W.G. Rhea Library in downtown Paris. The Paris Pictures Membership is sponsoring the brand new photograph present geared to youth and will probably be on show April 13-30 on the library. The Better of Present winner was Riley Arnold. 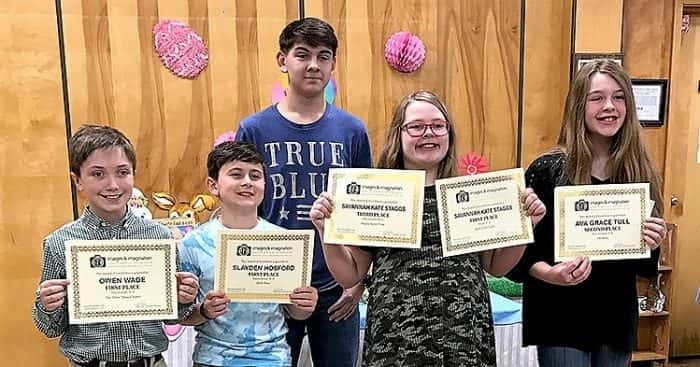 A few of the winners from the Youth Photograph Present, from left: Owen Wade, Slayden Hosford, Savannah Kate Staggs, Ava Grace Tull. (Again) Riley Arnold. Not pictured: Cassalyn Callahan, Tracy Blackwell, and Maple Townsend. Slayden Hosford accepts his first place from Kevin Buie. In background, Victor Brown, member of the Paris Pictures Membership.